True character is developed over time, created from nearly 25 years of history. It’s a reputation for delivering an incredible customer experience and a dedication to achieving superior results. It’s expert craftsmanship with an innovative eye for design. At Lellbach Builders our character speaks for itself -- through our customers, our recognition within the industry, our associations and our community involvement. "I have a particular appreciation for business folks who understand that a successful business is far more that providing a quality product or service. The finest business people I know appreciate the value of giving back to the community. Deb and Doug Lellbach truly appreciate this and consistently go the extra mile to serve the community." Over the past two decades Lellbach Builders has been repeatedly recognized for their expert carpentry work and distinctive design. 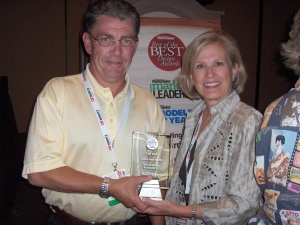 Their projects have been featured in a variety of media, including Naperville Magazine, The Business Ledger, Qualified Remodelers, and even HGTV and they have been the recipient of several industry awards. 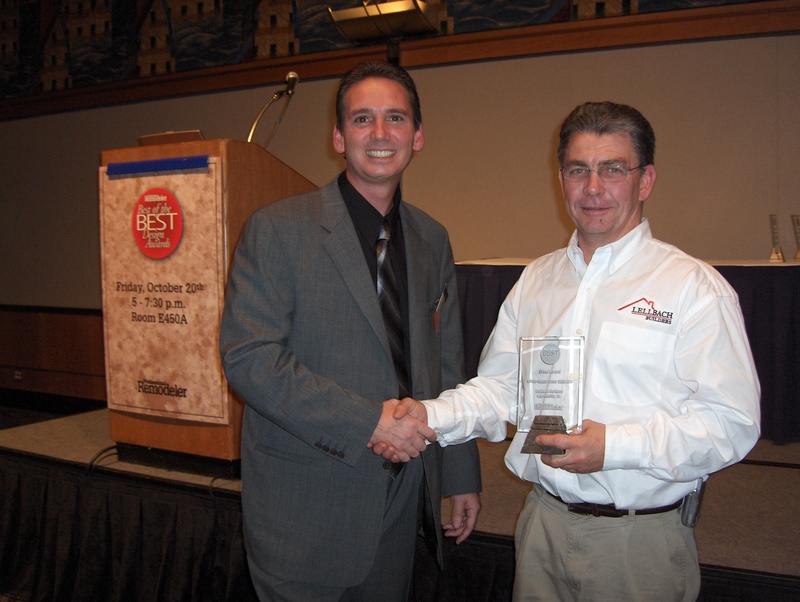 During its 20+ year history Lellbach Builders has been a key member of several associations, including the Naperville Area Chamber of Commerce and Remodeler's Advantage. Naperville Area Chamber of Commerce - Active member since 2000. Remodeler’s Advantage (member) - Roundtable member 2010 to present. Remodelers Advantage Roundtables bring remodelers together in non-competitive "think tank" groups that work together throughout the year, guided by top industry experts. Wellborn Cabinet Authorized Contractor- 2011 to present. Lellbach Builders has completed training to become an Authorized cabinet contractor. Known for being the cabinet provider for the HGTV Dream Home, Wellborn cabinets are a valued provider of permanent home cabinets designed for a lifetime of gracious living. Visit our dedicated Lellbach Cabinets site provided by Wellborn. Debra Lellbach is currently licensed as an Interior Designer in the State of IL - License #161-00666. Doug Lellbach is currently certified in Lead Remediation by the EPA - Certification # 38432-1. Lellbach Builders is fully bonded and insured. Bridge Communities Makeover Project 2012 – Bridge Communities is a grassroots, non-profit organization that provides transitional housing and programs to assist homeless families throughout the county. Lellbach Builders offered services for both a project designer & contractor for a makeover of a resident’s condo. Rebuilding Together Aurora 2011/2012 - A non-for profit volunteer organization dedicated to helping low-income homeowners, through home renovation and repair. Lellbach Builders participated in the Annual April Renovation Event as a part of the Volunteer remodeling crew and also as a Mentor from 2011 to present. Currently they offer assistance as a Logistics Co-ordinator. Naperville Garden Club – “Cup of Cheer” House walk - Featured Home – December, 2011. View photos. DuPage PADS Board of Directors and substantial volunteer activity from 2008-2011. Doug and his team donated work to help renovate PADS new building. Linden Oaks Hospital and Edward Health Ventures - Board of Directors 2009 to present. Debra accepted the Board Vice President position in 2011. Naperville Jaycees Community Service Award - Civic Leader Finalist, 2009. Lellbach Builders has also been featured in many magazine and newspaper articles. Listed below are some of our most recent articles. All news articles are in Adobe PDF format.